The Revd Dr Carl E Braaten is one of the leading theologians in American Lutheranism. He taught systematic theology for a generation at Lutheran School of Theology at Chicago and was founding editor of the popular theological journal dialog. He has written and edited many foundational works in Lutheran theology; among them are a two-volume Christian Dogmatics (1985), edited together with Robert Jenson, Justification: The Article by Which the Church Stands of Falls (1990), and Principles of Lutheran Theology (2nd ed. 2007). Braaten was also a longtime director of the Center for Catholic and Evangelical Theology and editor of its journal, Pro Ecclesia. The Revd Adam Clark is a doctoral candidate at the University of Notre Dame. Under the major of moral theology, his research asks how Christ and the Church eschatologically form agency and social life at the intersection of nature, history, and grace. Dietrich Bonhoeffer, Bernd Wannenwetsch, and Maximus the Confessor are leading lights. Under the minor of philosophical theology, he values the questions raised on the contemporary scene by the Continental tradition and feminism. He received his M.Div. from Concordia Seminary, St. Louis and serves as Assistant Pastor of Teaching and Preaching at St. Peter Lutheran in Mishawaka, Indiana. The Revd Dr Gifford Grobien holds a PhD in moral theology from the University of Notre Dame, with a minor in liturgical theology. His interests have focused on the relation between worship and ethics in Christianity. In this area, he has investigated figures including Martin Luther, Stanley Hauerwas, Louis-Marie Chauvet, Bernd Wannenwetsch, and those in the Finnish Luther School. He has also written on the natural law and studied the place of the concept and use of the Law in Lutheranism. Other areas of research include the fruits and benefits of the Holy Communion, and the history and practice of infant communion in the western church. He earned his M.Div. from Concordia Theological Seminary (2005) and also serves as Assistant Pastor of Emmaus Lutheran Church, South Bend, IN. The Revd Dr Paul Hinlicky is an internationally-known theologian who has published more than fifty articles and several books. He is the Tise Professor of Lutheran Studies at Roanoke College. He is an ordained minister in the Evangelical Lutheran Church of America who pastored for seven years and has edited the Lutheran Forum and Pro Ecclesia. He received his PhD from Union Theological Seminary in 1983. Dr. Hinlicky came to Roanoke College in 1999 after teaching theology for six years at Jan Comenius University in Bratislava, Slovakia. The Revd Dr Ken Sundet Jones is Professor and Chair of Religion and Philosophy at Grand View University in Des Moines, Iowa. He has served as pastor in parishes in South Dakota and Iowa and received his doctorate in church history under James M. Kittelson. One of the culprits in producing the Lutheran Handbook and Christian Handbook series, his focus in research and writing is on the role of preachers and how the gospel comes to justify the ungodly. He has twice been the recipient of his university’s awards for excellence and innovation in teaching. In spite of his seemingly dour thesis topic of 16th century German evangelical funeral preaching, he works to make his classroom a lively place where the gospel is translated for new ears. The Revd John D “Jady” Koch, Jr is a doctoral candidate under the supervision Dr. Notger Slenczka at Humboldt Universität zu Berlin. His main area of research interest lies in the concept of lex semper accusat and the debate over the usus legis; and his dissertation is focusing on the way the distinction between Law and Gospel informs the work of Werner Elert, Gerhard Ebeling, Gerhard Forde and Oswald Bayer. He is also a frequent contributor to the Mockingbird Blog (www.mockingbirdnyc.blogspot.com) which is committed to analyzing the way the Law and Gospel operate in contemporary culture. An avid schnitzel eater, he and his wife, Liza, and their giant great dane currently live in Vienna, Austria where he is serving as the Curate for Christ Church Anglican. The Revd Dr Mark Mattes teaches in the Departments of Philosophy and Religion at Grand View College in Des Moines, Iowa. Prior to this call, he served parishes in Gardner, Illinois and Antigo, Wisconsin. He holds the Ph.D. from The University of Chicago, the M.Div. from Luther Seminary, and he earned his BA from St. Olaf College, where he was also elected to Phi Beta Kappa. He has authored The Role of Justification in Contemporary Theology, has co-authored Imaging the Journey, has co-translated Theology the Lutheran Way by Oswald Bayer, has co-edited the collected papers of Gerhard Forde, A More Radical Gospel and The Preached God, and has co-edited The Grand View College Reader, and has additionally authored numerous essays and reviews for peer-reviewed journals. He serves on the Board of Theta Alpha Kappa, the national honor society for Theology/Religious Studies and helps edit articles for Lutheran Quarterly and Logia: A Journal of Lutheran Theology. The Revd John T Pless is Assistant Professor of Pastoral Ministry and Missions at Concordia Theological Seminary in Fort Wayne where he also serves as Director of Field Education and Editor of For the Life of the World. Prior to joining the faculty, he served for seventeen years as campus pastor at University Lutheran Chapel at the University of Minnesota in Minneapolis. Prof. Pless is the author of Handling the Word of Truth: Law and Gospel in the Church Today, A Small Catechism on Human Life, Word: God Speaks to Us, Confession: God Gives Us Truth,Luther on the Care for the Sick and the Dying and two chapters in Lutheran Worship History and Practice. With Matthew Harrison he is editor of Women Pastors? The Ordination of Women in Biblical Lutheran Perspective. Click here for Prof Pless’s CTSFW page. The Revd Dr Jonathan Trigg read PPE (Philosophy, Politics and Economics) at Exeter College, Oxford. 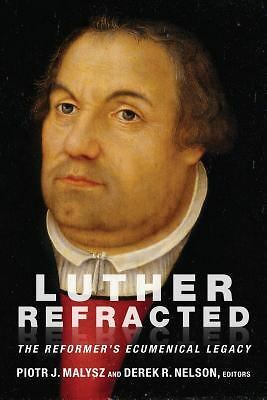 Ten years later, as part of his training for ordination, he studied for a BA in Theology at Durham; his doctorate was awarded at Durham for his thesis on ‘Baptism in the Theology of Martin Luther’, published later by Brill. He has been a priest in the Church of England since 1984, and is currently Vicar of St Michael’s Church, Highgate, and Priest-in-charge of All Saints’, Highgate (London). The Revd Bryce P Wandrey is currently serving as Associate Vicar at St Michael’s, Highgate, and Assistant Curate All Saints’, Highgate (London). He has received degrees and diplomas from St Olaf College (1999), Concordia Theological Seminary, Fort Wayne (2003), and St Stephen’s House, Oxford (2008). He has published articles in Lutheran Forum: “The Incomprehensible God and Ecumenical Fairplay” (Winter 2007) and “For the worthy reception, faith is necessary…” (Spring 2010). He also has a personal blog. The Revd Dr Hans Wiersma is an ELCA pastor with a PhD in Church History from Luther Seminary. He presently serves as Assistant Professor of Religion at Augsburg College, Minneapolis. He is co-author of Crazy Talk: A Not-So-Stuffy Dictionary of Theological Terms (2008) and Crazy Book: A Not-So-Stuffy Dictionary of Biblical Terms (2009). He is also co-author of The Lutheran Course II and contributed to The Lutheran Study Bible, The Lutheran Handbook (vols. I and II), The Lutheran Pastors Handbook, The Lutheran Handbook on Marriage, The Christian Handbook, and People of Faith Bible Study resources (all from Augsburg Fortress publishers).